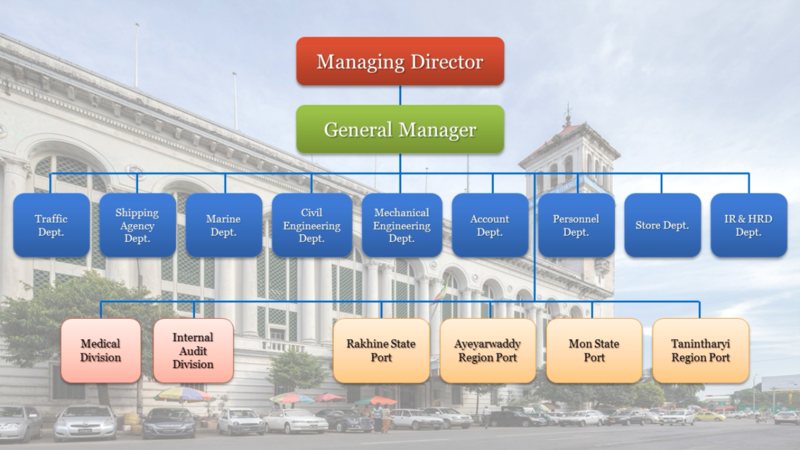 Myanma Port Authority is one of the State-owned enterprises under the Ministry of Transport and Communications. It is the only organization which not only raises state’s finances by offering services for seagoing vessels and managing other port related infrastructures but also responsible for the development of nation’s Port Industry by facilitating and regulating. Myanma Port Authority is the best pillar to build the modern develop nation especially for the maritime trade development with the optimize balance between regulatory and facilitation to the player of port industry together.